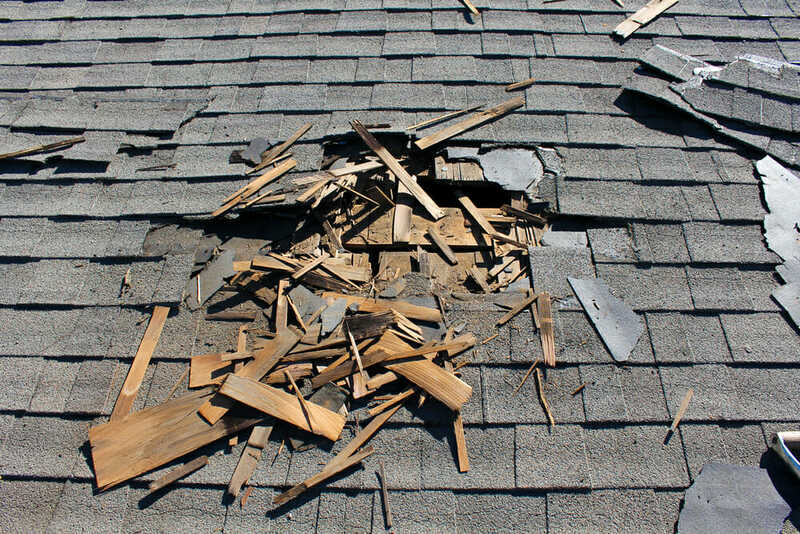 So You Need a New Roof? Owning a home entails lots and lots of maintenance duties. The one that is probably dreaded the most is roof replacement. The job is expensive and involves major decisions in the selection of roofing type, style, and color. If you lived in a different part of the world, you might opt for a roof made of straw, banana leaves, or sea grass. Unbelievably, some rural homes in Britain still use the thatched roof of yore. There are about 1000 full-time thatchers still practicing the trade. Although it is not fire-resistant, thatching does have high insulation value. As a resident in the modern world, though, you’ll probably need to select a roofing material that is longer-lasting and less maintenance-intensive. Asphalt shingles are popular for many reasons. Moderately priced, they’re available in many colors and styles. Their durability is evidenced by a traditional guarantee of 15 to 30 years or longer. Asphalt shingle splitting and cracking has been greatly reduced by reinforcement with fiberglass fibers. This also allows the use of a lighter-weight shingle. When using a nail gun, a professional roofer can install them at a very fast pace. Shingles are also made of slate tiles, wood shake shingles, rubber shingles, composite shingles, and steel shingles.f. Slate shingles have been used for centuries. They are almost impervious to the weather. Of course, they could be damaged by tornadoes, hurricanes, or oversized hailstones. The fact that you have a roof of stone means that it will probably last from 80 to 400 years. In many cases, the roof would outlast the building. The disadvantage is the cost and the fact that the structure of the building may need to be reinforced to support the extra weight. The difference is that shingles are sawed and shakes are split. The shakes have a rough-hewn appearance that appeals to some homeowners. Cedar shingles are often favored with Early-American style architecture. The best quality, longest-lasting wood comes from the heart of the cedar tree. Clay tile is popular in the hotter sections of the country. Like slate, it is very durable. Due to the weight, it also requires extra-strength structural framing. It is baked for durability and color fastness and is available in a variety of colors. Concrete tile is a lower-cost alternative. Although some think of metal roofs and barns in the same breath, metal roofs are gaining popularity, In the last ten years, their use has quadrupled. The many styles simulate wood shakes, shingles, or tile. An interlocking feature minimizes wind damage. The expected lifetime is over 50 years. If you expect long-time ownership of your home, the increased cost may be justified. It also enhances the value of your home. Green homes come in different forms. The ultimate green home is a modular home built of composite materials. They are of watertight construction and have a covering of soil and sod. Mowing your roof is a rather novel concept. Since the house is completely underground, the temperature varies little. Heating and cooling costs may be 10% to 20% as much as a conventional home. Other cost savings are no requirement for exterior painting and no windows to clean. Just be sure that your personality is compatible with living underground. Some people need to look out the window and see the sun. In hurricane or tornado-prone areas, there is no need for a storm cellar. The selection of roofing material that is right for you should not be taken lightly. Remember, a good slate roof can last 400 years.